Acting Balanced: BlogMania Sponsors Wanted!! 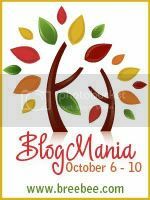 Once again, I am participating in BlogMania this Fall!! I'm so excited to be putting together a fabulous prize package and want to feature YOUR product or service! Donate a prize of $100 or more. Includes a feature post (300 words) with up to 3 bonus entries for visiting your site, mention with multiple links in all general promotional blog posts (2 minimum), liking you on facebook etc, 2 dedicated Facebook posts on the Acting Balanced Blog page as well as 2 personal status posts linking your business shared with my friends, 4 tweets. Sidebar 125 x125 button with link for one month. Donate a prize of $40 to $99. Feature post (200 words) with up to 2 bonus entries, mention with 2 links in all general promotional blog posts (2 minimum), Facebook post on Acting Balanced Blog page, 3 tweets. Donate a prize of $39 and under. Included in all general promotional posts with 1 link (2 minimum), Facebook post, a tweet.